One year ago I wrote this post. It was the beginning of this space, my space. A space to share with you this amazing journey I am on as a mom. It is a space I love coming to each and every day, giving you a peek into my days and my thoughts. This space was a long time coming, something I had thought about for quite some time before writing that first post. I had been blogging for quite some time at Your Green Baby, my nutrition consulting site, and had slowly started including a little bit more about our life on our little homestead. It felt good sharing little bits and pieces and so the spark for Mothering with Mindfulness was lite. It took a little prodding from a friend, a little more thought and then finally I did it, I wrote that first post. While I come to this space to share with you, I had no idea when I began this journey how much you would give me. In this space I have found like minded families, I have found mamas learning, growing and changing on their own journeys, I have found inspiration, I have found friends and I have found community. For all of that I am truly grateful. I am grateful for those of you who stop in every day to check in on us, those of you who leave a comment and those of you who just read, you all make this space a wonderful place for me to come to. So today to celebrate the one year anniversary of my space, and to show my appreciation and gratitude to all of you who are traveling this journey with me I am hosting a giveaway!!! 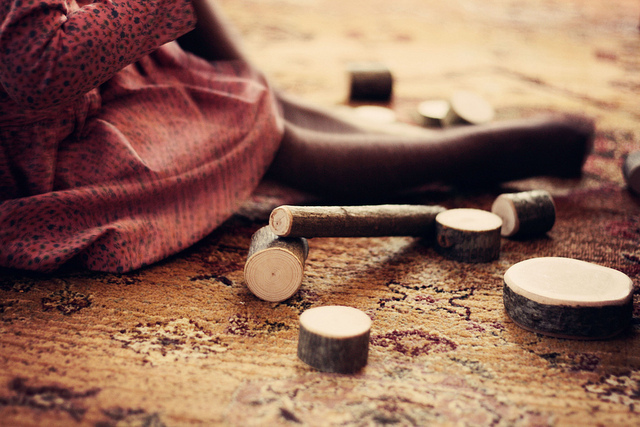 Those are the lovely tree blocks Justin makes and we sell in our little shop, Schoolhouse Toys. 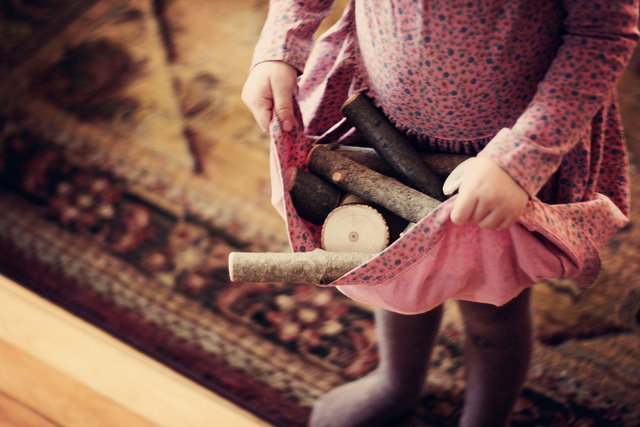 We are offering up one set of tree blocks to one lucky Mothering with Mindfulness reader. To enter the giveaway simply leave a comment below. Giveaway is open until Friday October 12, 2012 at 7pm. Thank you again for joining me in this space, your presence here means the world to me. I look forward to sharing more of our journey with you. "Happy Blogaversary! I've enjoyed this journey with you and can't wait to see where you take us!" Happy blogiversary! I love visiting with you every day and I especially love calling you friend. Happy Anniversary...and what a beautiful space you have created! Congratulations on your first year with the blog! Sharing this time with you has helped our little family visualize what we are trying to achieve. Thank you! Thank you Athena. I appreciate you sharing in our journey and so happy to help you on your journey. You are so right!! And thank you. I am so thankful to have found Your Green Baby while I was pregnant with my son and even more thankful that I now have this blog to help me along my journey as a mom. Congratulations! Awe, thanks Ami, I really appreciate your kind words. Happy blogging anniversary, Kim! I am so grateful I found you and your blog - you provide such joy and inspiration. Happy Blogaversary! I've enjoyed this journey with you and can't wait to see where you take us! Thanks Shel. I am still amazed at how many wonderful people I have "met" and now call friend, it truly is amazing. i am so glad i connected with you, i love visiting your space kim! i hope to share many more years! Thanks Heather, it has been great getting to know you too. This blogging thing is pretty amazing at connecting us all, love it!